Beautiful home situated on 5 acres of agricultural/ equestrian zoned land. This 4 bedroom 3 bath pool home has upgrades galore. Light tumbled marble floors throughout living areas, hallways and bathrooms. A chefs kitchen with real wood custom cabinetry, an island set up for entertaining, and a pass through window to the large open patio and pool area. All bathrooms are beautifully updated, huge laundry room, large walk in closet in master bedroom, crown molding throughout main living areas, stone wall with fire place in the family room. Besides this home being gorgeous there's many opportunities for income. 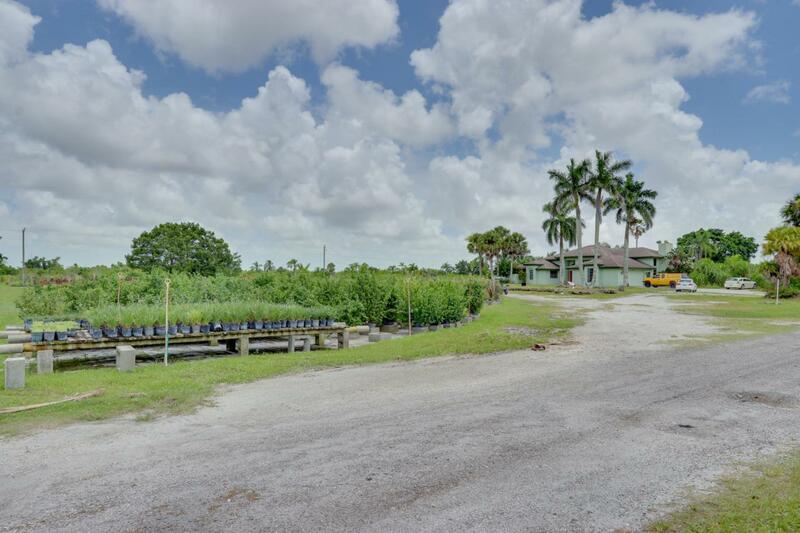 Land can be leased as storage, currently has a fully irrigated nursery running on it, the nursery business (EST. 2005) is being sold with the property. In the back of the propertythere's a huge 60 foot by 40 foot warehouse with an air conditioned office space, and an attached 30 by 40 covered space.